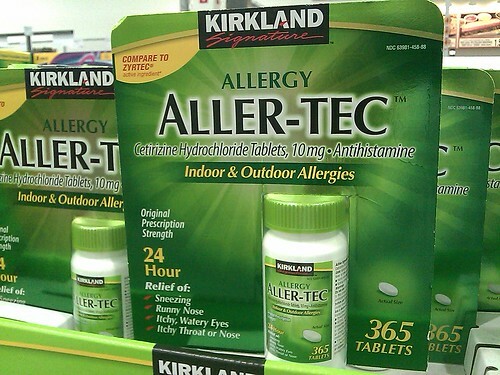 Allergy Notes: The most cost effective oral antihistamine? 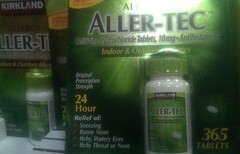 The most cost effective oral antihistamine? 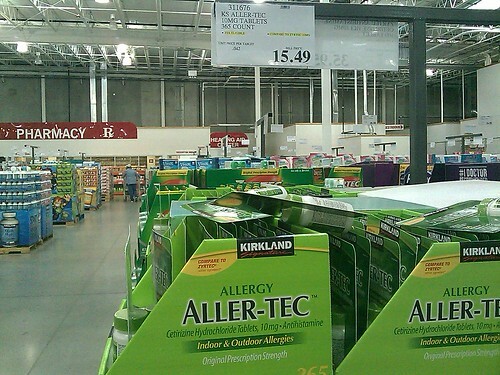 The most cost effective oral antihistamine is probably cetirizine (Zyrtec) at Costco Wholesale Club - it costs $15.49 for one year supply of 365 tablets. Allergy drug recommendations for patients on a budget. KevinMD, 2010. 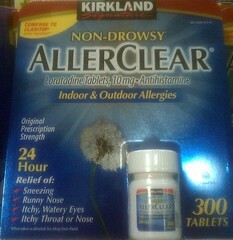 Treatment approaches to seasonal allergies reviewed by an allergist on Dr. Oz show (video).